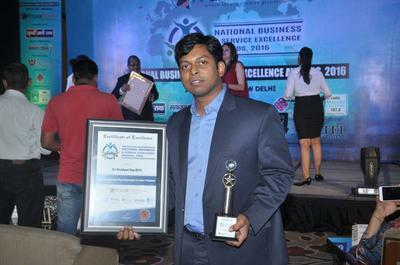 Dr. Prodyut Das (PT), Physiotherapist and Webmaster of PHYSIOTHERAPY TREATMENT APPROACH received the prestigious National Business & Service Excellence Awards, 2016 on June 26, 2016 for his continuing commitment to excellence, developing best practices and innovative strategies for the growth of the service sector with vision and inspiration. 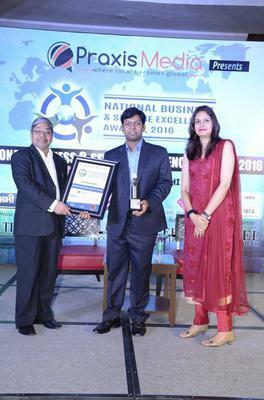 New Delhi, June 26, 2016: On Sunday, June 26, 2016 the National Business & Service Excellence Awards, 2016 were held at Hotel Crowne Plaza Today, New Delhi amidst the elites of the business and service sector. This year, the National Business & Service Awards were presented to more than 50 winners at 5 different levels. The exacting and daunting feat of zeroing-in on the winners was achieved by Praxis Media, with the support from its associates and partners, after an elaborate and meticulous selection process which included inviting nominations from potential nominees, substantial research & surveys, collation of feedback & opinions, screening based on pre-determined judging parameters and subsequently choosing the winners through an independent jury panel. 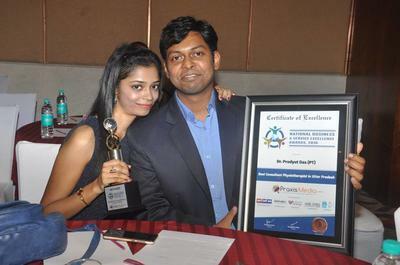 The significant parameters which were considered for selecting the winners included Market Presence & Competition, Growth & Profitability, Quality & Operational Excellence, Financial & Business Acumen, Innovation & Novelty in Services, Ingenuity and Imagination, Sustainability & Environmental Awareness, Job & Impact Potential, Client/Customer & Industry Feedback, Use of Technology & Trends, Efforts for Risk & Setback Mitigation, Previous Awards & Achievements etc. The event was graced by an elite panel of guests and dignitaries that included names like Shri Sandeep Kumar – Hon’ble Minister for Social Welfare, Women & Child (GoNCTD), Dr. Bhalchandra Mungekar – Hon’ble Member of Parliament, Ms. Alka Lamba – Hon’ble MLA from Delhi, Shri Adarsh Shastri – Social Entrepreneur & Hon’ble MLA, Delhi, Ms. Sudha Yadav – Former Member of Parliament & National Secretary of Bharatiya Janata Party, and Mrs. Priyanka Chaturvedi – Noted Columnist & National Spokesperson, Indian National Congress. 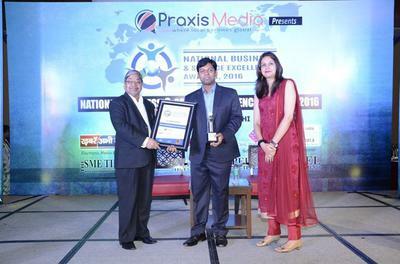 National Business & Service Excellence Awards, 2016, an initiative of Praxis Media, in association with Business Synergy - India’s leading online business & service resource and Global Brands Network - Confederation of most valuable brands worldwide was instituted in 2015 to recognize and felicitate the achievements and the work done by individuals and organizations in maintaining excellent quality in their business and services with commendable commitment, exemplary approach and innovative vision which is an inspiration in itself. The initiative was well supported by Khabrein Abhi Tak – Electronic Media Partner, Satyajay Times – Hindi News Partner, Radio Manav Rachna 107.8 FM – Radio Partner, PlugIn PR – PR Partner, Recruit Wheels – Associate Partner, The SME Times, The Pharma Times, The Property Times and The Hotel Times as its Associate Partners who echoed the same objective of ‘Business & Service Excellence’. Continue your good job dear! You certainly deserve the award!